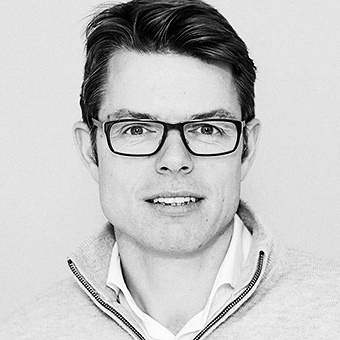 Harald Lamberts is the founder of Essense, a service design agency based in the Netherlands. Harald is as a strategic design consultant passionate about designing relevant services that provide value and have a positive impact on society. At Essense he aims to partner with clients to define and execute successful experience strategies. As the industry has evolved from single-channel design to creating omni-channel customer experiences, he considers it crucial to design these experiences based on a holistic approach, balancing customer and commercial value. In addition to ongoing service-design collaborations, together with his team he also works with his clients, such as Philips, ING, PostNL and Schiphol Airport, to drive innovation projects identifying customer value propositions and designing proof-of-concept experiences. Ideally using co-creation sessions or service pilots to validate service scenarios with users. Harald started his career as a user researcher at Microsoft (USA), then became user experience director at Vodafone where he ultimately led the global UX team. He is a passionate promoter of sustainability in the broadest sense: from environmental to society impact. The few spare hours at Essense are allocated to (service) design work for sustainable initiatives. He aims to leverage the expertise gained through this to help organisations transition using sustainable propositions and operations.